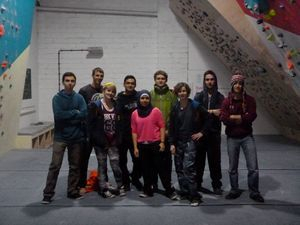 What is the bouldering team? 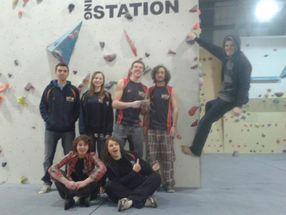 The Bouldering Team is made up of 15 people who represent the UoB in a whole host of competitions. Who can be on this team? Any and all UMBC members can try out to be on the team. Why try out you may ask? 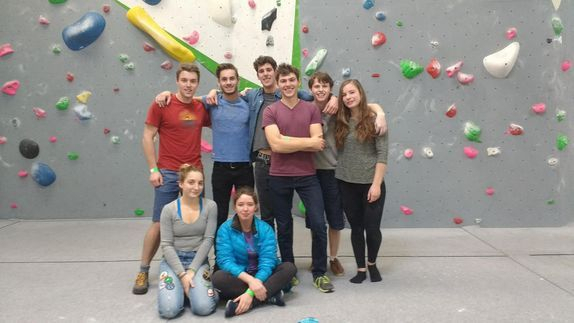 Well because bouldering is an awesome way to improve your climbing skills/strength and being in the team gives you a chance to represent your University in competitions across the UK. How often does the team train? We will try to get a training session in at least once a week (in addition to Redpoint on wednesdays) where we'll boulder together and give each other valuable beta (advice). Most common question: how do you compete, is it a race? 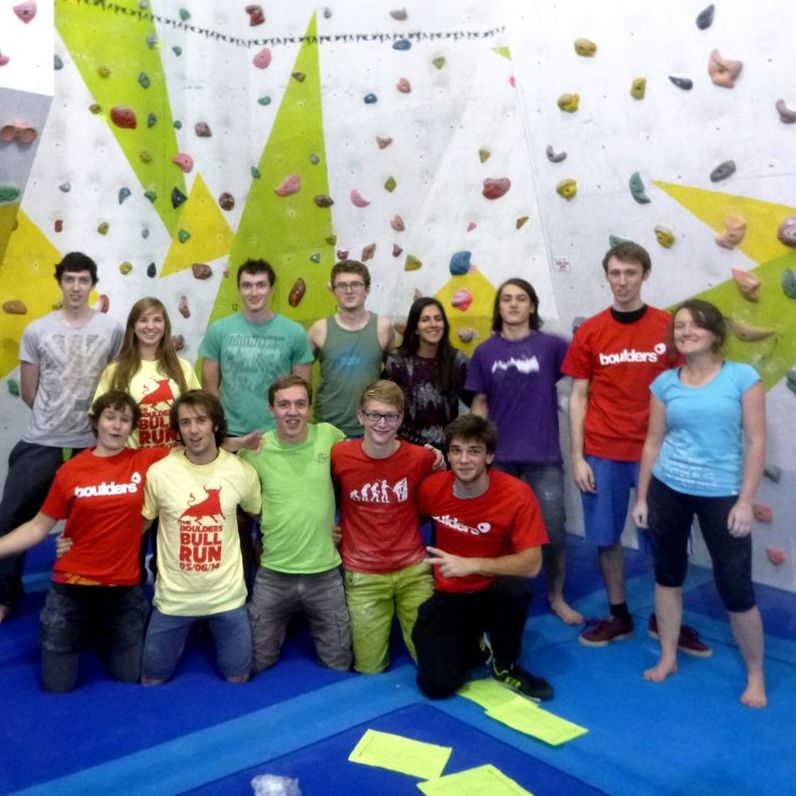 Well not really, usually in bouldering competitions there will be a set of routes and you will get points for completing a route, with less points being awarded for the more attempts made and individual's points will be added together to get a team score. So if you're keen to boulder and want to be part of the fun keep an eye out for when the try outs are happening and come along!